This course is the direct continuation of the Beginning Drawing course. The student continues to work toward a deeper understanding of one and two point perspective, the patterns of value and the effects of light on objects and their cast shadows. Starting with graphite and moving on to charcoal, we initially work with the basic shapes of nature, such as the sphere, column and cube. Students will then be working from everyday objects, which includes organic forms, always with an emphasis on composition, use of negative space and the emotional quality of a drawing. All work in this class is done from life, based on the realist tradition and never from photographs. There is homework as an extension of what is covered in class. Homework will typically take 1-2 hours per week. 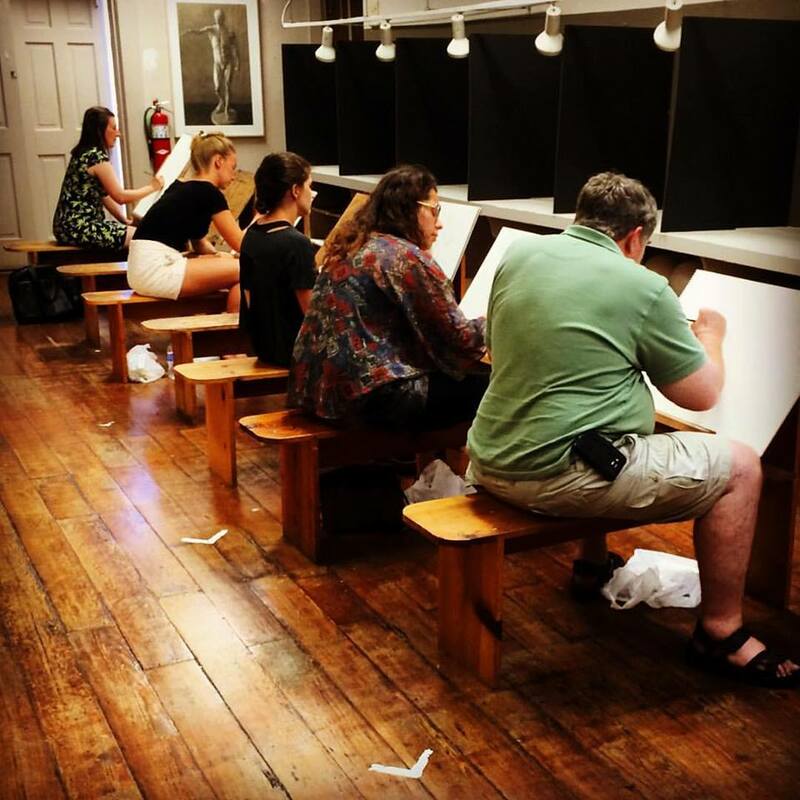 This class takes place in our 2nd floor drawing studio. You will be straddling a wooden drawing bench without back during class (see classroom photos below). We are able to make other accommodations if necessary: please contact us well in advance of the beginning of your class to discuss alternatives.